Solution to "WinX DVD Ripper Platinum Halloween Edition Giveaway License Invalid"
Have problems with WinX DVD Ripper Platinum Halloween Edition giveaway license? Free download it to PC first! 1. Why does my WinX DVD Ripper Platinum Halloween Edition giveaway license become invalid? 2. How can I activate WinX DVD Ripper Platinum Halloween Edition correctly? 3. Any possibilities to keep WinX DVD Ripper Platinum Halloween Edition giveaway license for a lifetime? This article is a solution to your questions regarding (2017) WinX DVD Ripper Platinum Halloween Edition giveaway license registration. Keep reading, you'll find out the answers. #1. Download WinX DVD Ripper Platinum Halloween Edition and install it on your PC. #2. Launch WinX DVD Ripper Platinum Halloween Edition. #3. 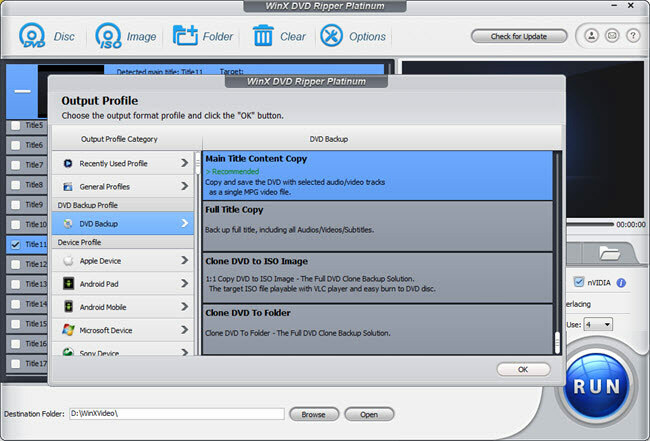 Register WinX DVD Ripper Platinum Halloween Edition with VALID giveaway license. Please copy and paste the giveaway license to the software directly. No spaces before or after the serial letters. Note: The giveaway license should be registered before a required date. #4. Once registered, users are able to enjoy full functions of WinX DVD Ripper Platinum Halloween Edition and free for a lifetime. How to Keep WinX DVD Ripper Platinum Halloween Edition Giveaway License Valid for a Lifetime? Here is a situation needed to be stated ahead. A giveaway edition, including WinX DVD Ripper Platinum Halloween Edition, comes with no free upgrades. Any upgrades/removals of giveaway license yourself will turn the license invalid. In addition, formatting/replacing the hard drive or reinstalling the whole system will also make WinX DVD Ripper Platinum Halloween Edition giveaway license invalid. In order to keep the giveaway license free for a lifetime and enjoy full functions of Halloween Edition, you should ignore all the prompt messages asking you to upgrade. If you have to reinstall your system and do not want to lost WinX DVD Ripper Platinum Halloween Edition giveaway license, you can shoot an email to Digiarty support team for further instructions. Another recommended method to get a valid WinX DVD Ripper Platinum giveaway license for Halloween is to participate in Digiarty's Windows (10) DVD Ripper giveaway. You can also enjoy the special offer with up to 75% discount for getting Halloween special pack which embraces all WinX best-selling DVD video software. WinX DVD Ripper Platinum Halloween Edition is a special edition built for Halloween promo only. If you have any further questions regarding this edition and the Halloween giveaway license, please feel free contact at support@winxdvd.com.